List Rules Vote up the Oscar speeches that made sitting through all the host's banter worth it. 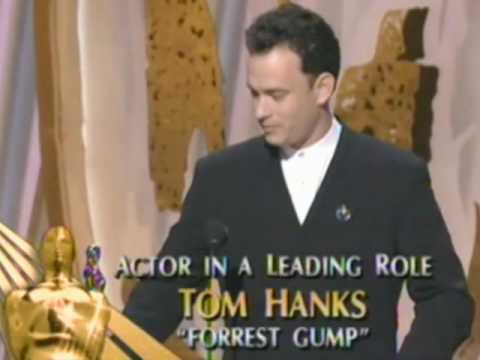 One of the best parts of the Oscars broadcast each year is the moving and heartfelt acceptance speeches. The Academy Awards are the highest honor a director, actor, or person in the world of film can win. As a result, some of the best Oscar speeches are memorable for the winner's nerves, excitement, and enthusiasm. Which Oscar-winning stars have given the best acceptance speeches? Especially with the advent of YouTube and social media, Academy Award speeches (and those from just about any awards show) are replayed and enjoyed (or scrutinized) even long after the telecast has aired. But not all Oscar speeches are created equal. Far from it. Winners react with everything from pure excitement (Cuba Gooding, Jr.) to an outpouring of emotion (Halle Berry) to being completely overwhelmed (Jennifer Lawrence). 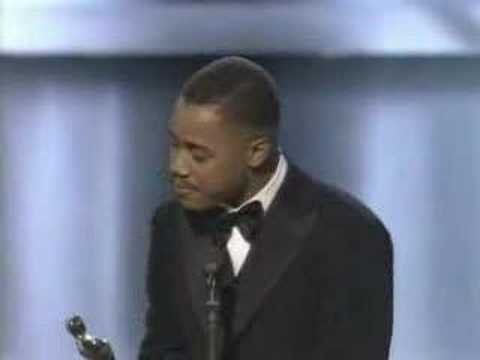 These are the best Academy Award Speeches of all time! Vote up the speeches you find the most moving, and get ready to feel all the feels. Tom Hanks is the embodiment of charm. When he thanks you, he means it - really, truly means it. He thanks everyone and you as the viewer feel thanked and loved. Powerful words, powerfully delivered. Award: Honorary Award for "the incalculable effect he has had in making motion pictures the art form of this century." The speech given to announce Charlie Chaplin was impassioned and powerful, using quotes from the man and examples of his work. 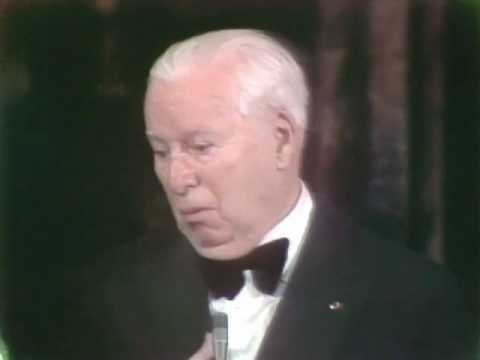 Once Chaplin took the stage he barely would have needed to speak, as his face says it all. However, this serves to make his speech even more poignant and powerful. If you won an Oscar you might be a little too excited also. Gooding went there and managed to handle it beautifully. He doesn't really start his speech in full force until the music plays, then instead of letting it play him off he uses it as a score to underline his love for everyone. Then there's dancing! 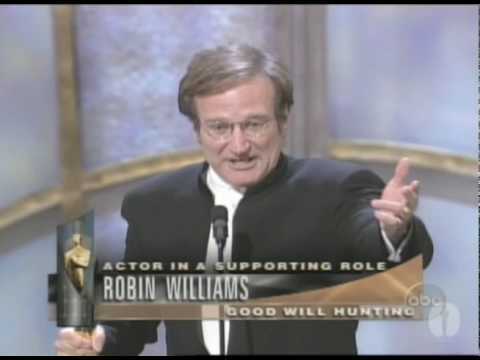 You knew Robin Williams to be excited and excitable in nearly all of his performances, but to see the late actor near speechless with excitement here is powerful and amazing.